CLOSEOUTS. 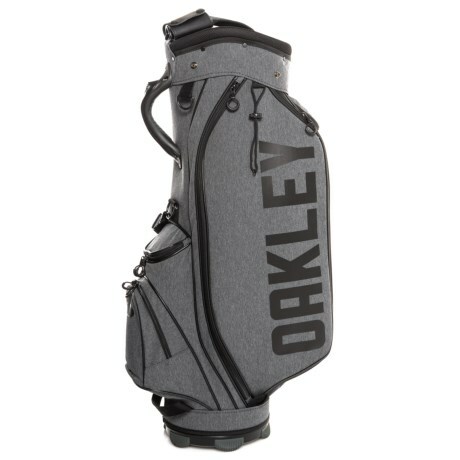 Oakleyand#39;s BG golf bag 11.0 has five top dividers and six zip pockets to keep you organized and prepared on the course. Available Colors: BLACK HEATHER. Sizes: O/S.